Mindfulness is recommended by the National Institute for Clinical Excellence (NICE) as an effective treatment for depression and has been clinically evidenced to significantly reduce symptoms of anxiety and stress. Mindfulness is a treatment option that we at Mindfulness in Mind believe should be made available to anyone who experiences mental health issues. Mindfulness in Mind, supported by national charity Mind, is the banner under which Mind in Salford and Mind in Hackney have delivered evidence-based 8 week mindfulness courses (MBSR – mindfulness based stress reduction, MBCT – mindfulness based cognitive therapy, MSC – mindful self-compassion) to the public since 2010. 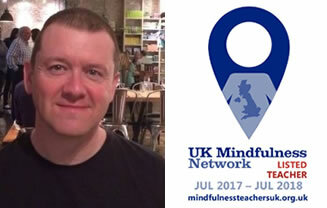 Mindfulness in Mind run the Practitioner Training Programme (PTP), a recognised 12 month pathway for mindfulness teachers, which provides the foundation for seeking registration with the UK Network for Mindfulness Teachers. We train fellow Mind colleagues, counsellors, CBT therapists, mental health practitioners and educators from all over the UK to deliver 8 week mindfulness courses. 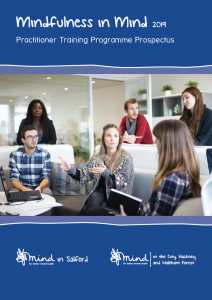 During the programme participants will be given guidance on submitting their application for registration with the UK Network and supported to attain the levels of competency outlined in the Good Practice Guidelines (GPGs). The next course starts in September 2019 and costs £2000 per person inclusive of all resources and supervisions if paid for by organisation/employer, or £1600 per person inclusive if paid by individuals. Payment plans by installment are available to individuals to help spread the cost. If you would like to apply then please click on the link to download the application pack below, complete and return to us by email at mindfulness@mindinsalford.org.uk Applications for the Sept 2019 intake will be accepted from 1 April 2019 – 1 July 2019. Early application is recommended as the courses can fill up quickly. For any further information or to discuss your application, please contact Jess our Training Co-ordinator on jessicas@mindinsalford.org.uk or call 0161 212 6461/4880. 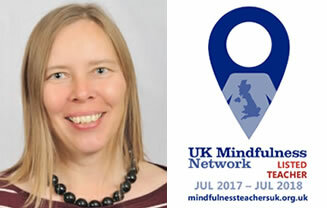 Mindfulness in Mind is an affiliated organisation of the UK Network for Mindfulness based Teacher Training Organisations – http://mindfulnessteachersuk.org.uk – and the team behind Mindfulness in Mind are experienced mindfulness teachers/supervisors listed on the UK Network register.